August 14, 2015 - A rat's ribs are hinged at the spine, enabling it to easily squeeze through the tightest spaces—like the pipes draining your toilet. 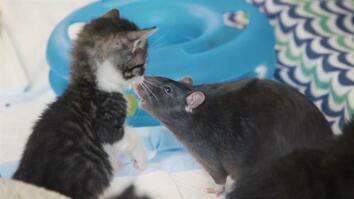 And rats are great swimmers too; they can hold their breath for up to three minutes. See how quickly a rat can go from the city streets to your bathroom. Read more: Yes, Rats Can Swim Up Your Toilet. And It Gets Worse Than That. A rat in the toilet… It’s scary, but it does happen. Good afternoon, you’ve reached Rodent Control. ... You have a rat in your toilet? How does this ultimate rat invasion actually occur? First, it could easily sneak into grates or manhole covers open to the street. Residential sewer pipes feed into the main tunnel. A rat might consider this path an irresistible opportunity for exploration. Its sharp claws allow the rat to scale almost any vertical surface. The rat is in the home’s internal pipes, going up. Now it faces the biggest test: getting through the last few feet of the narrow, maze-like toilet pipes. The underwater passage leaves no room for error. At a turn, the rat finds a pocket of air, just enough to help it push on...to the end of the line. How does it collapse its body like that? 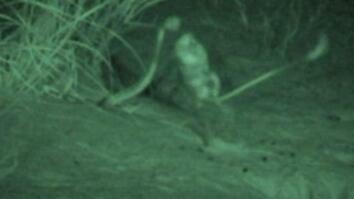 Take a look at this rat’s attempt to get to the other side of the tiny hole. 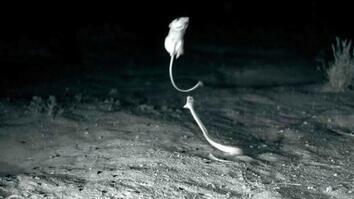 If a rat can fit its head through an opening, the rest is easy because of its “internal acrobatics”. When squeezing through a constricted space, the pressure causes the ribs to give way. At the spine, the ribs are hinged allowing them to effortlessly collapse. How does the rat deal with all that...water? What if someone flushes? We think of rats as land animals, but it turns out, they’re expert swimmers. Rats paddle with their back legs while the front feet steer. The tail also works as a kind of rudder. Rats have incredible stamina—they can tread water for three days straight! And they can hold their breath underwater for up to three minutes. This aquatic proficiency is the very reason rats became global travelers. Long distance swimming enabled them to hitch rides on boats and colonize new shores.